We arrived in La Paz at 7am. I decided to stay where the other girls I had met were staying which meant another Loki. The only redeeming quality is that the Loki provided a free drink for it being my second Loki, but given I was sick, it ended up being a Powerade but more about that later. As we had the whole day, we decided to take advantage of it. We wandered the streets in search of Alpaca. La Paz is known for its markets and in particular it’s witch markets. The witch markets are pretty touristy, as are a lot of the stores. If you want to make some Alpaca purchases, your best bet is the stalls. 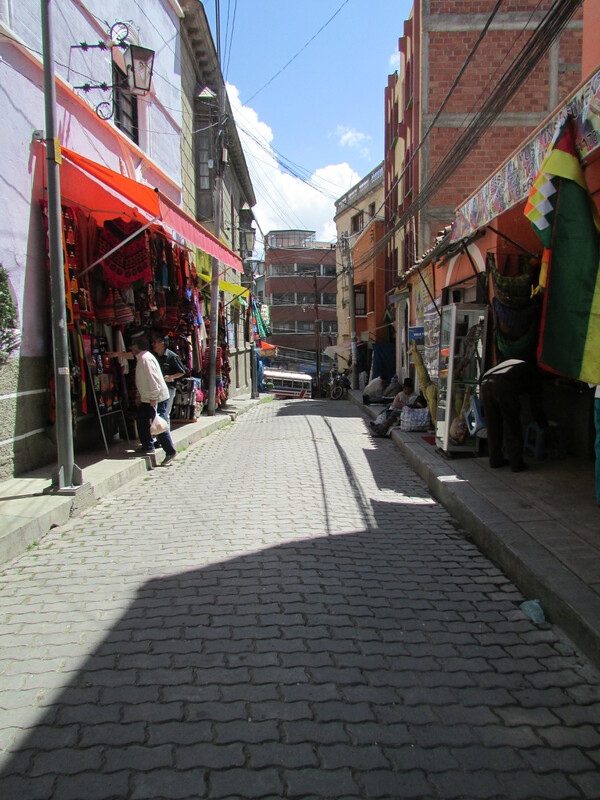 The streets of La Paz are filled with vendors. It is also easy to get lost in some of the markets as they don’t seem to end. 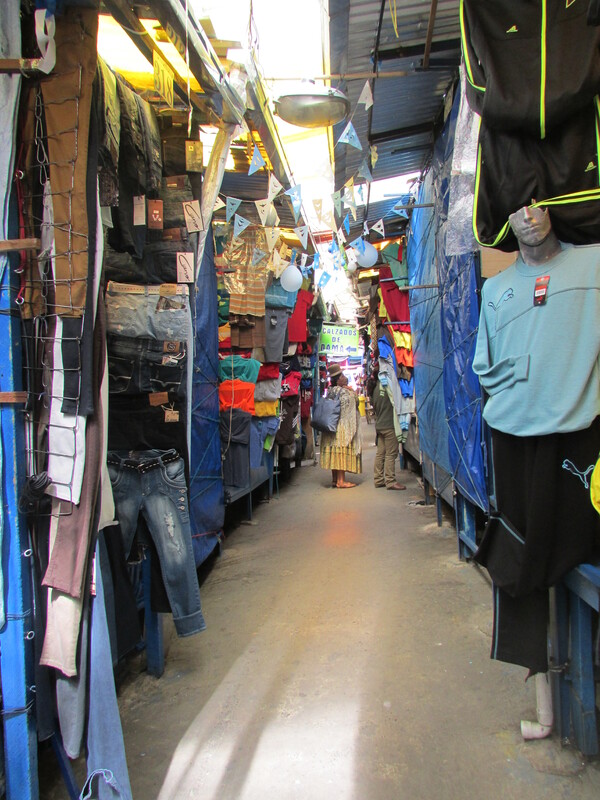 We headed back to the stalls after getting some pricing and after some difficult bargaining, I managed to get a sweater and some socks for 78 bolivianos, or about 11 dollars. I was pretty proud of myself. The view from the top of the funicular. We had lunch next which was very good. Some tomato soup and a sandwich. After a productive day of shopping, we headed back for internet, rest and a shower before the evening. 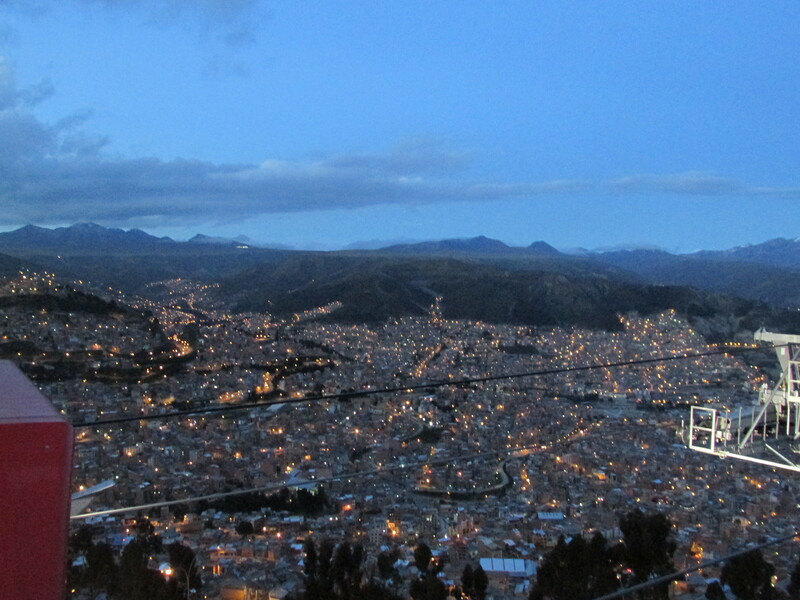 Overlooking La Paz, Bolivia at dusk. That evening I got up and showered before we headed to the funicular. I didn’t feel quite myself but couldn’t tell what was wrong. I came home later that night and still didn’t feel great. While everyone headed out for dinner, I confirmed that I was sick and I would not be leaving. I felt awful being the girl in the room who was sick. However, if there is one thing that happens when you do get sick, it is that no one is surprised. The girls in my room were like yea, it happens to everyone. I guess after going two months of traveling without being sick once, I couldn’t complain too much. Given I could barely get out of bed, I stayed another night in La Paz and another day in bed, getting up only for laundry. Fortunately, I felt well enough that night to eat something, and was able to get out of La Paz the following day. Sorry La Paz, but i don’t think I could give you the time you deserved this time around.